THP The Magazine is officially available for pre-order. 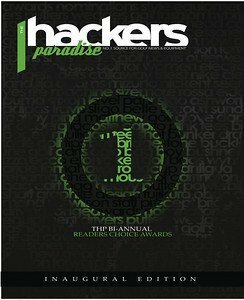 The Hackers Paradise is proud to introduce something that we have been working on for quite some time. THP THE MAGAZINE. 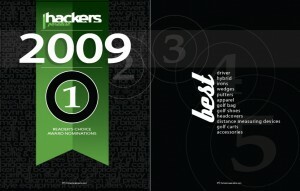 The official launch of the magazine is Spring of 2010 with it being published 4 times per year. Subscriptions and individual issues will be available in January. However before we kicked off the start of the new year with this publication, we wanted to do something special. We created an Inaugural Collector’s Edition. It is being done in a limited capacity and is a shortened issue. (about half the size of our normal issue) However, do not be fooled, even this Collector’s Issue is loaded with content such as new equipment, PGA Tour interview, our year end Readers Choice Award nominations, and much much more. This is a 52 page perfectly bound standard size magazine that will be a nice little collector’s item for all things THP. If you are a fan or just want to help support us, you can pre-order your copy today. They will ship 12/1 and we hope everybody enjoys it. You can order as many as you would like and this first issue will also be available at select resorts and book stores. Starting with our Spring Issue and regular quarterly publication, you will find THP the Magazine available nationwide at many retailers. This issue is priced higher than our normal publication and annual subscriptions will be a great bargain. We hope you enjoy the publication and as always, you will have a voice in the content that we provide. We will have a sub-forum setup when the magazine is released for everybody to add what they like and dislike and have direct input in the articles and features that are covered each and every issue. This is a publication for everybody that has made THP the place that we have grown to love. We want to share it with each and every person that makes this website the place that it has become and could not have done any of this without your help along the way. These will sell out most likely before they ship, so please act fast. UPDATE: We have sold just over half of the issues being printed for our first ever inaugural collectible issue. If you haven’t already purchased a magazine now is your chance to be a part of THP history. Are you going to be publishing the magazine again?